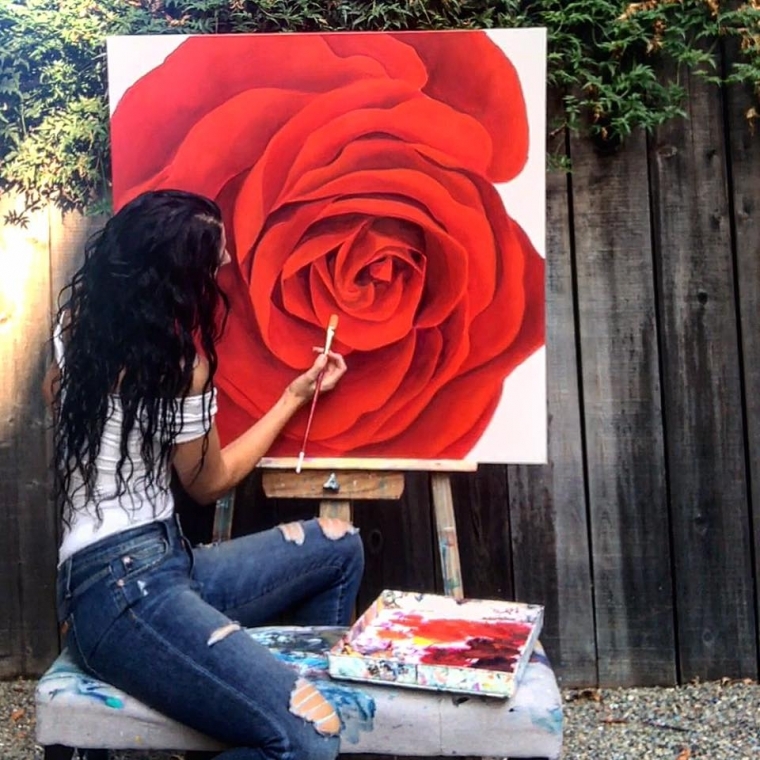 I painted this rose in the presence of love, and for myself to be rooted in deep change for the next chapter. As we move into darkness today on this new moon solar eclipse, what is your shadow that wants to turn into light? Whatever it may be for you, it’s never too late to begin again and reinvent yourself for the better…to love yourself purely. Is this rose for you? She’ll be ready for sale tomorrow, on display at @space07salon in Sacramento.